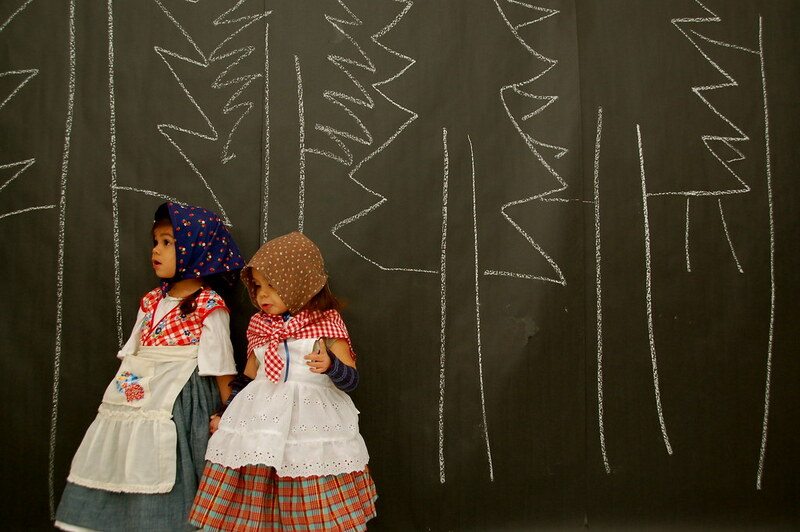 Once upon a time, there in a deep forest lived a woodcutter and his two daughters, Hannah and Gretel. The woodcutter was remarried to a nasty woman who thought only of herself, so when hard economic times hit, she forced the woodcutter to make a difficult choice. 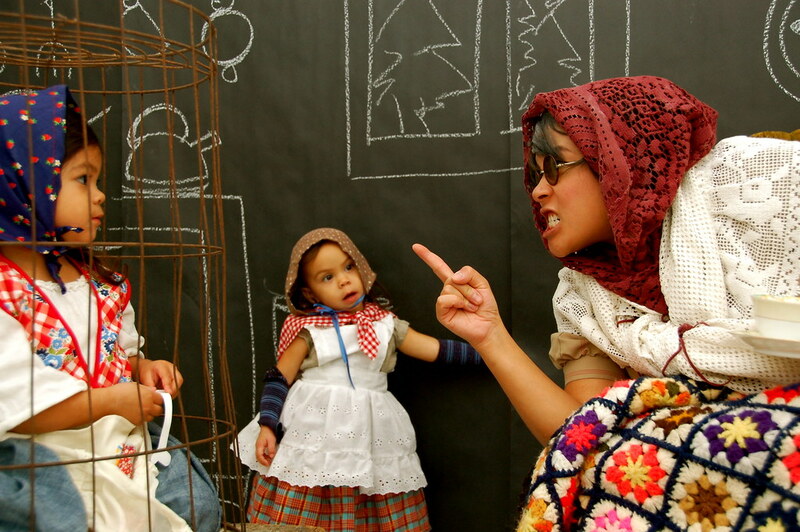 The nasty stepmother told the woodcutter, "We have no money and there are too many mouths to feed! You must take the girls deep into the woods, so that someone else can provide for them. Surely, someone will want to take care of them. You must do what I say or else..."
The woodcutter was deeply afraid of the "what else" and felt he had no choice but to follow the orders of his nasty wife. He was hoping that surely someone would really be able to give his children a better life than this. 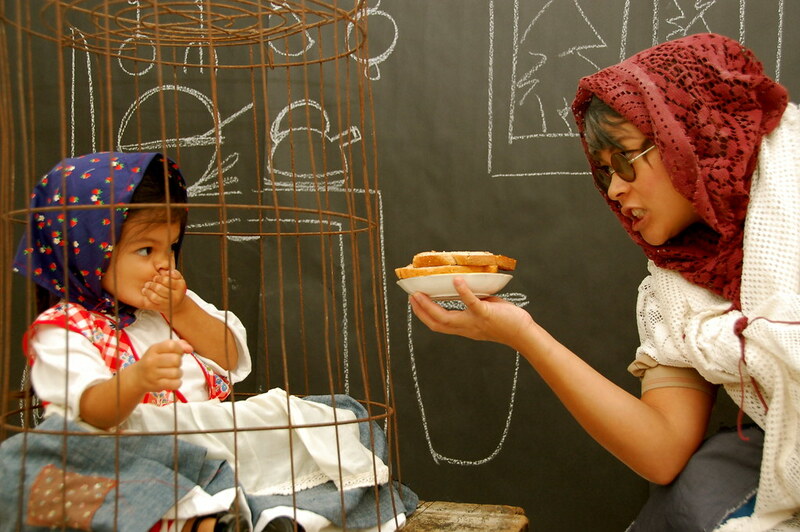 Hannah and Gretel overheard their stepmother's wild demand and was overcome with sadness. Hannah comforted Gretel and said, "Don't worry, I know God will take care of us no matter what. Plus, we will always have each other." Hannah tried to never show her fear in front of her sister. Hannah knew that she had to be true and brave to help Gretel get through this very tough time, so she concocted a plan for when her father would take them into the woods. The next day, the father declared that they would be off in search of wood for the stove. 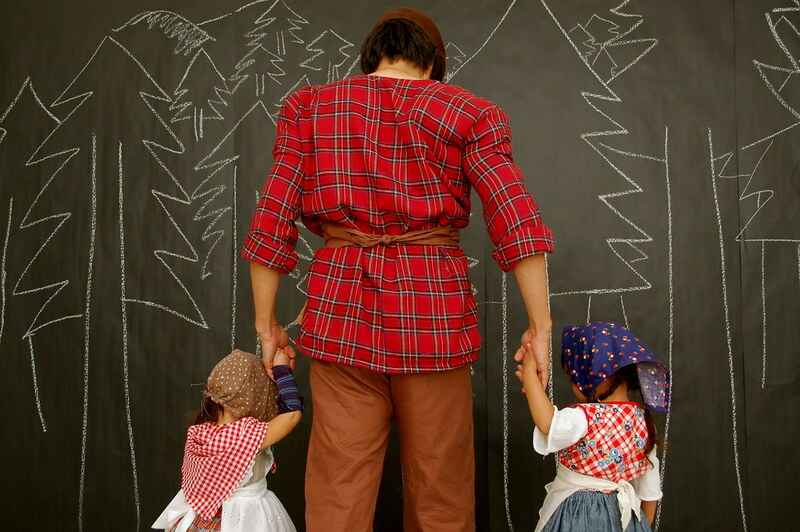 He took his girls, Hannah and Gretel with him. They all walked off into the deep, deep woods together. Knowing what her father was instructed to do, Hannah put her plan in motion, from the very moment they left the house. 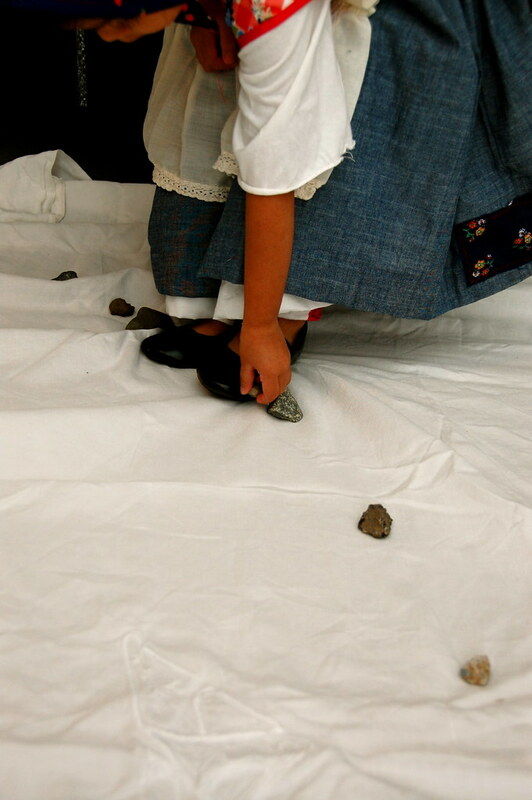 She made a trail of tiny pebbles, so that she and Gretel would be able to follow their way home. 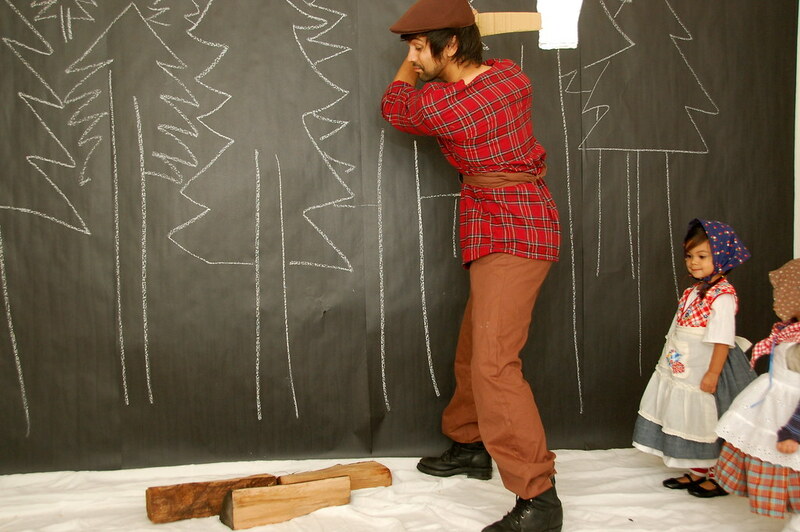 Once they were in the deep, deep forest, the woodcutter decided it was time to chop some wood. He chopped and chopped, until he said he needed more wood, so then he told his daughters to stay and watch the wood until he returns. Hannah and Gretel waited and waited. They grew tired from all the waiting. As soon as the first twinkle of stars came out, Hannah said that it was time to go home. Gretel said, "How are we are going to go home? We don't know the way." 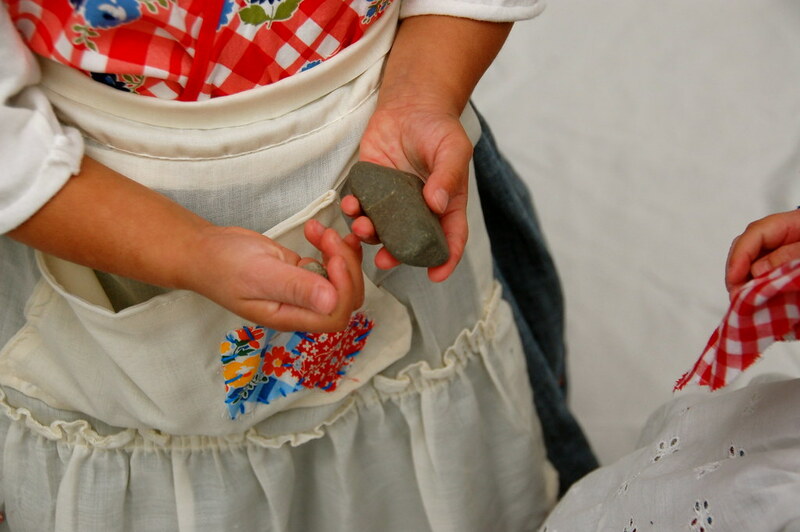 Hannah replied, "Gretel, I left a trail of pebbles for us to follow home." Together they set off to follow the trail of pebbles home. Once they got home, they quietly and tiredly snuck back into their beds and off to sleep they went. 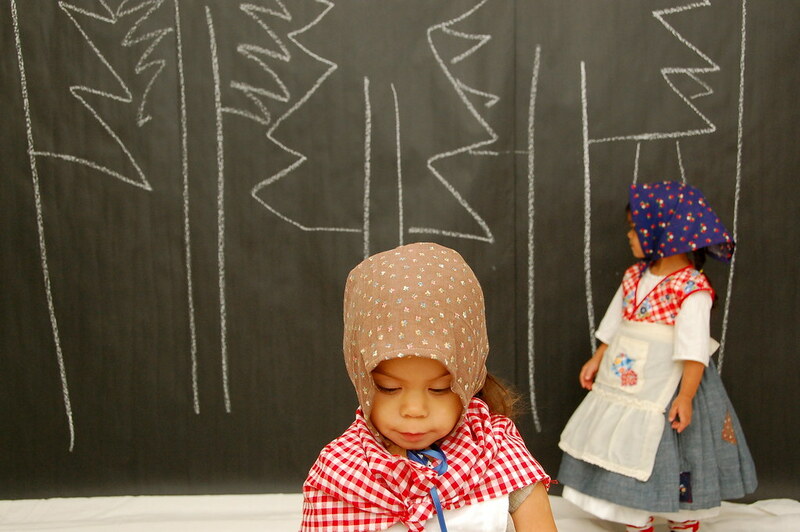 Deathly afraid of the "what else", as soon as the girls awoke, their father declared it was time to fetch more wood. The woodcutter said, "Hannah and Gretel, we must go back into the deep, deep woods to get more wood for the stove as we have already run out!" Due to the quickness of the trip, Hannah didn't have much time to plan, but all she managed to bring was some pieces of bread. She decided that she would use the bread to leave a trail back home. As they were making their way into the woods, Hannah broke the bread into tiny pieces to make sure to leave a trail behind them. Unfortunately, Hannah failed to let Gretel know the plan and Gretel was so hungry that she ate up the pieces of bread that she found. 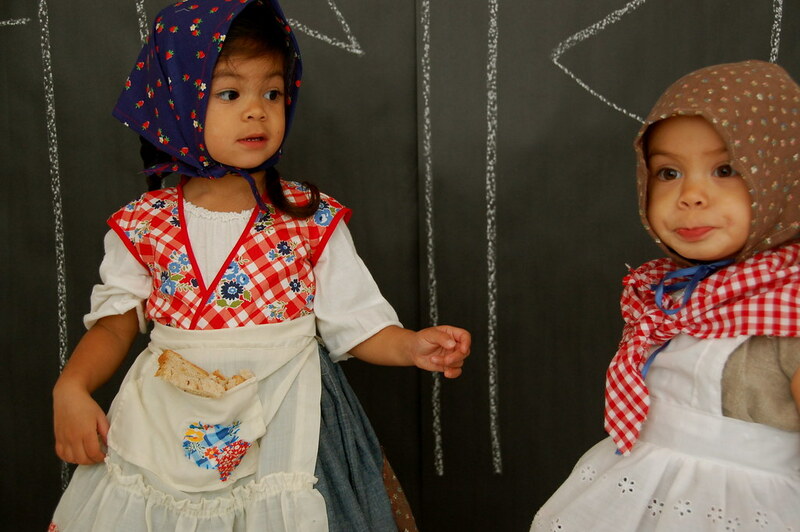 After awhile, Hannah started to pay attention to Gretel and noticed she was chewing. When she demanded to know what she was eating, she told her to stop because that was going to be their way back home. 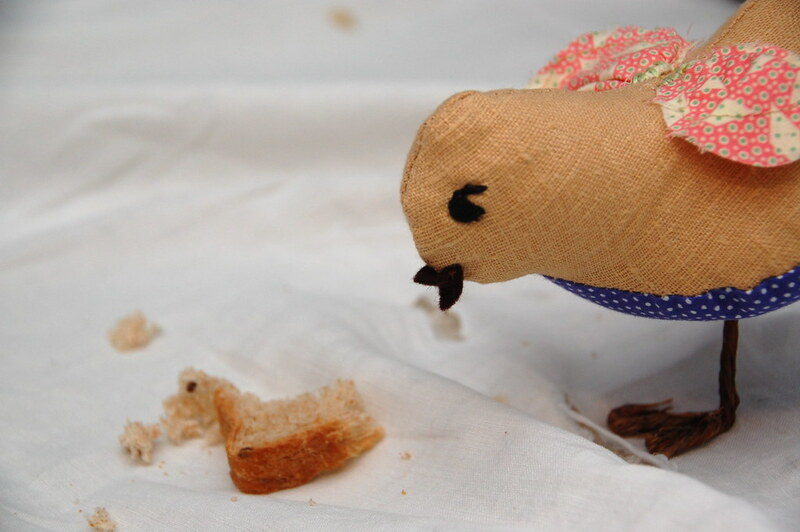 Gretel immediately apologized not knowing the plan and Hannah continued to leave bread crumbs to make a trail. Little did Hannah know, that a tiny bird was just as hungry as Gretel and ate up all the other bread crumbs that was left behind. Once they were much deeper in the deep, deep forest, the woodcutter decided it was time to chop some wood again. He chopped and chopped, until he said he needed more wood, so once again he told his daughters to stay and watch the wood until he returns. Hannah and Gretel waited, waited, and waited. But just like last time, they grew tired from all the waiting when Hannah decided it was time to head back home. Together they set off to follow the trail of bread crumbs home, but to their surprise there were no bread crumbs to be found. Hannah and Gretel were immediately disheartened and started wandering deeper into the dark forest trying to find their way back home. The young girls were hungry and tired after wandering for a few hours, when they happened to spot the loveliest sight. 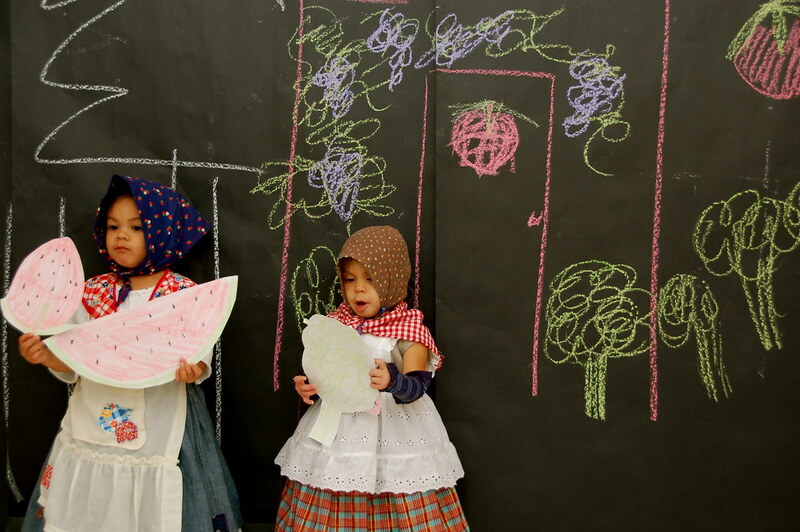 It was a house made of their favorite fruits and vegetables. Instead of flowers in the flower bed, there were bunches of broccoli. 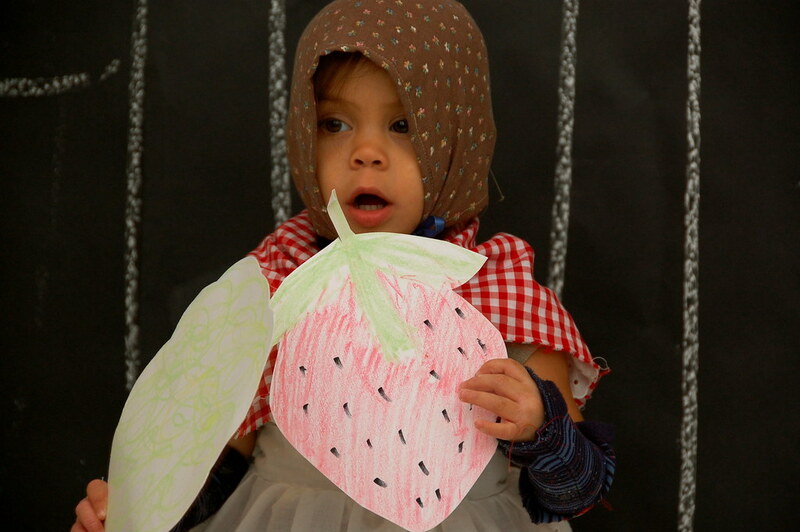 Instead of a tiled rood, there were watermelons and for windows, there were strawberries. There were also vines of grapes growing all along the front of the house. They were so overcome with excitement that they immediately started devouring whatever they could get hands on. As they were eating, an Old Lady popped out and greeted them. At first, Hannah and Gretel were a bit taken aback, but when the lady offered them more food and a place to stay, they happily took the offer. After all, they were hungry and tired, and had no other place to go. Little did they know, that what they saw was a spell put on by the Old Lady of the house. 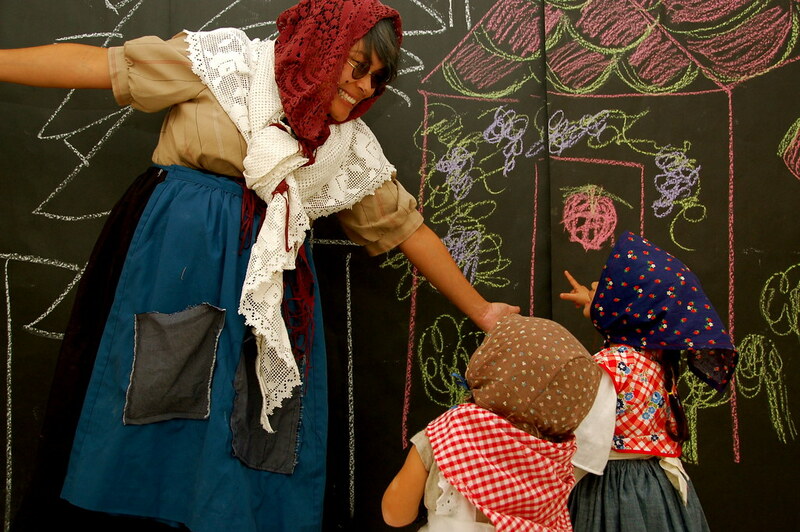 She was able to make little children see what they wanted to see in order to capture these little children for herself. 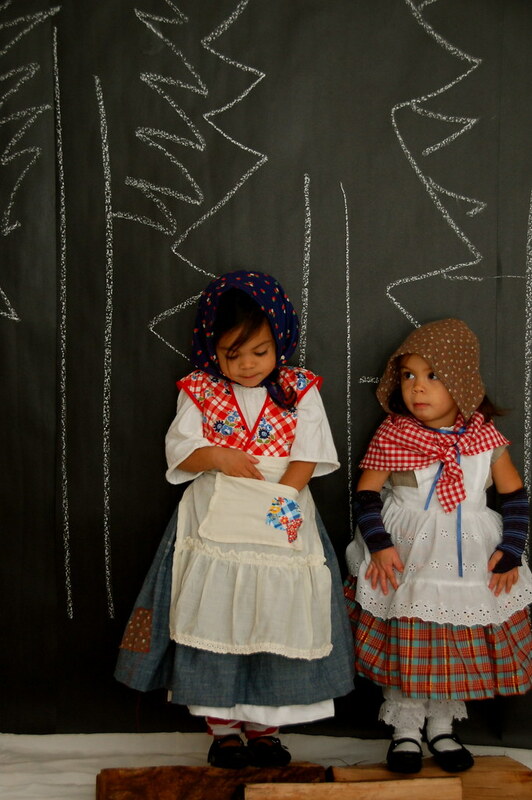 Hannah and Gretel were about to step into a lot of trouble. 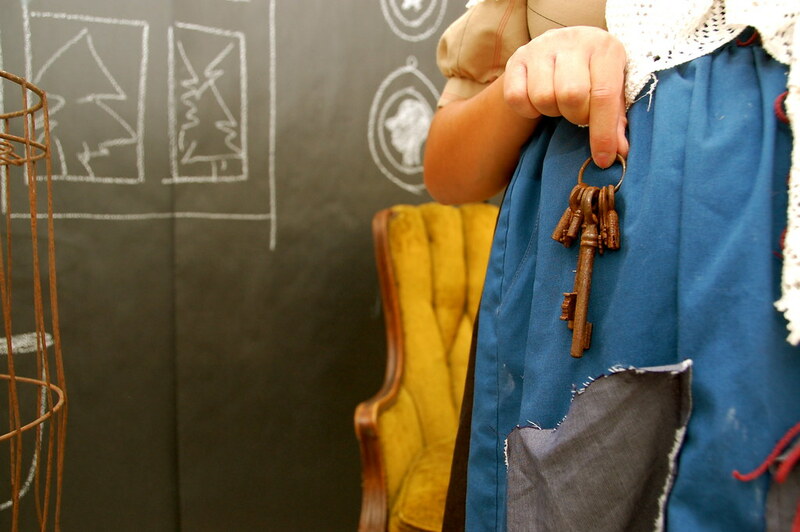 Upon entering the Old Lady's house, everything changed. 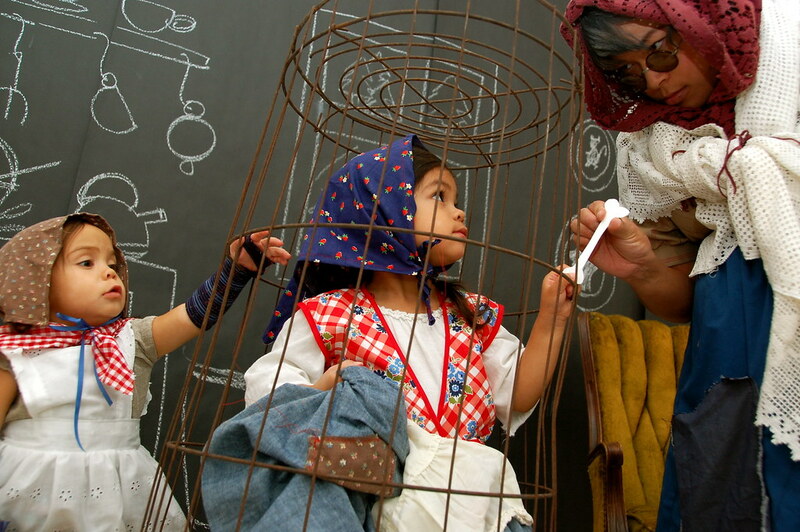 It wasn't as lovely as they first saw, and the Old Lady quickly took Hannah and caged her up. She locked her in and there was no way for her to get out. The Old Lady said, "I got you my precious and you will never go home again!" 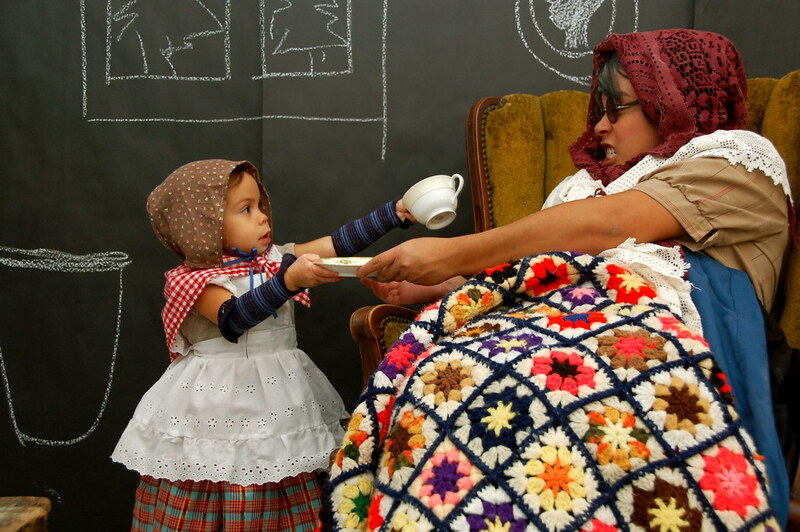 Then, the Old Lady forced Gretel to become her servant. She made Gretel cook and clean for her. The Old Lady said, "Hannah, you must eat as I will need to fatten you up for my big meal!" Little Gretel, knowing what the Old Lady would do to her sister, took the Old Lady's glasses and cracked them so that she could not see clearly. Now every time the Old Lady went to check to see if Hannah had been "fattened" up, Hannah would stick out an old bone, so the Old Lady would think that she was still not quite ready to be eaten. Growing impatient and hungry from all the waiting, the Old Lady declared she did not care if Hannah was not yet ready. 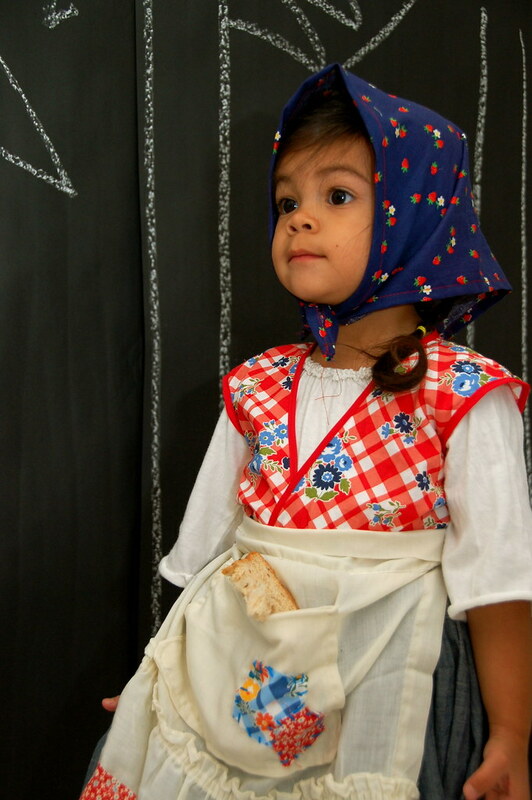 She was hungry now and demanded Gretel get the stove ready for Hannah. 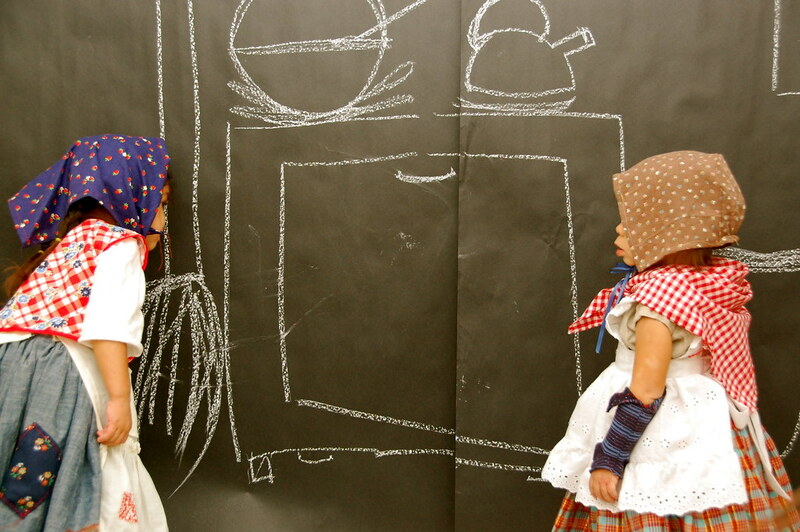 Gretel afraid for her sister pretended to have trouble getting the stove started. She kept calling for the Old Lady telling her that it did not work. Frustrated, the Old Lady got up to see what the problem was. As soon as the Old Lady was close enough to the oven, Gretel, with all her might, pushed and shoved the Old Lady into the oven. 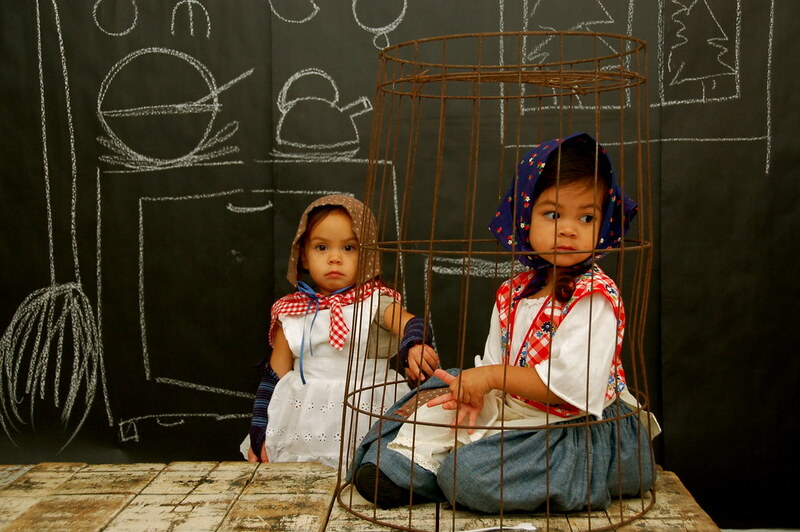 Quickly, Gretel then retrieved the keys to unlock Hannah out of the cage. 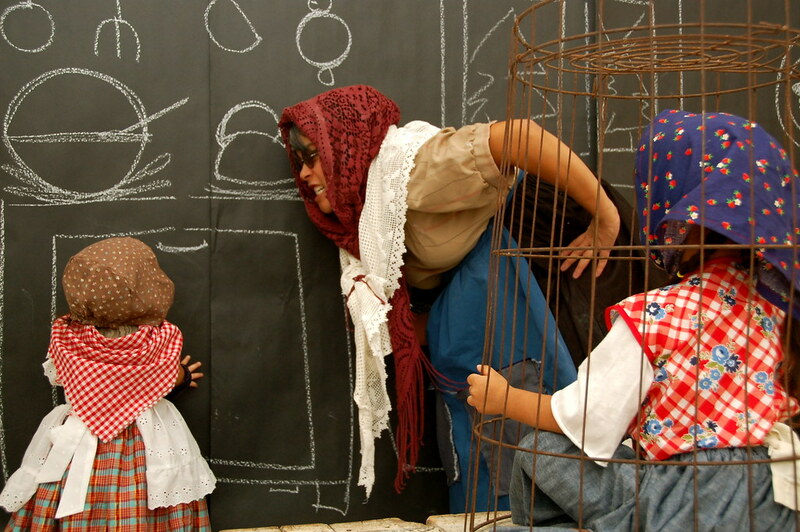 Gretel freed Hannah and together they watched the Old Lady disappear into smithereens inside the hot, hot oven. 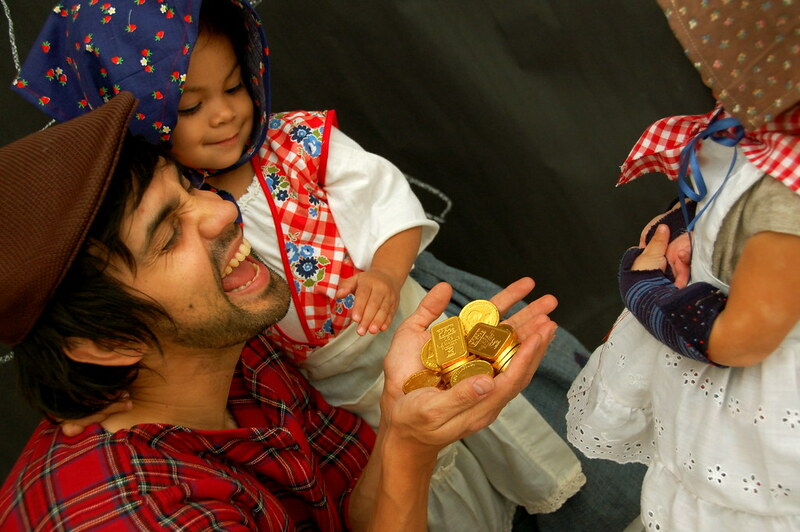 Happy to be free from the Old Lady, Hannah and Gretel quickly searched the house for the Old Lady's stash of gold coins. 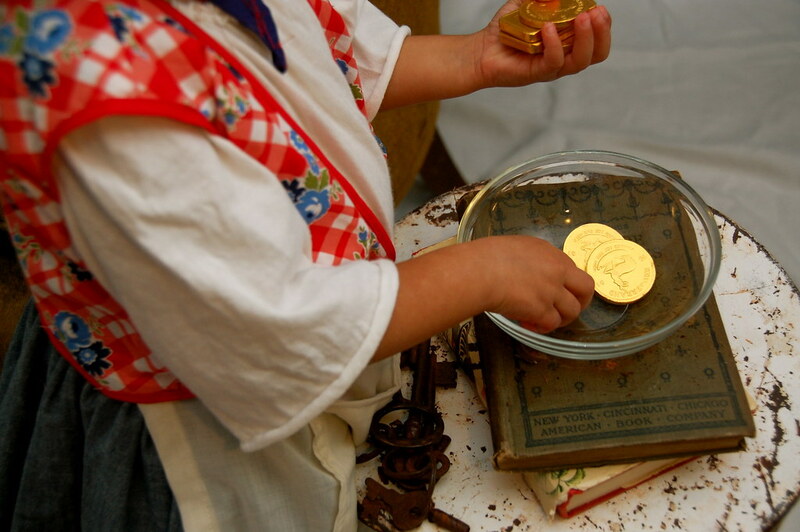 They found the gold coins, took them, then went on their merry way to find their way back home. Once they were a good distance from the Old Lady's house, they started to hear their father calling after them. Excited, they followed the sound of his voice and it wasn't long before they were back with him again. 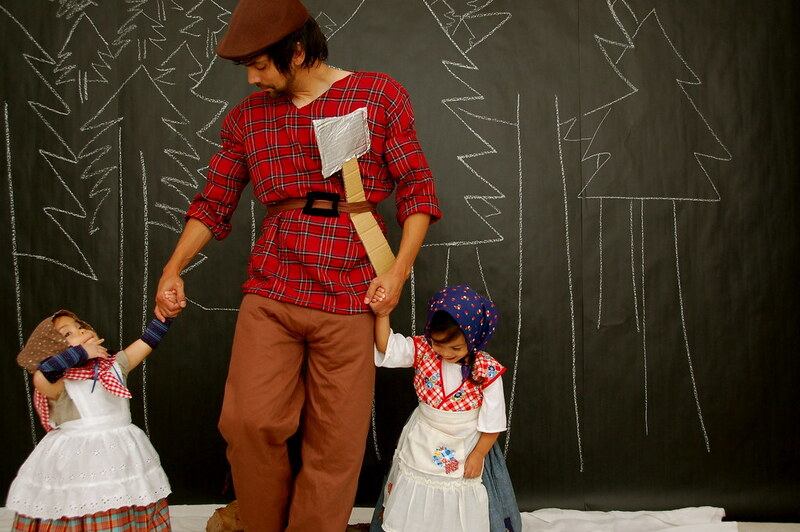 The woodcutter happily embraced his Hannah and Gretel and declared his love for them and ask for forgiveness for being so cowardly and not standing up to their nasty stepmother. He told them that once he realized the terrible thing he had done, he ordered his wife out of the house and went in search of them. He had been searching for days now and he was so glad to be back with them again. 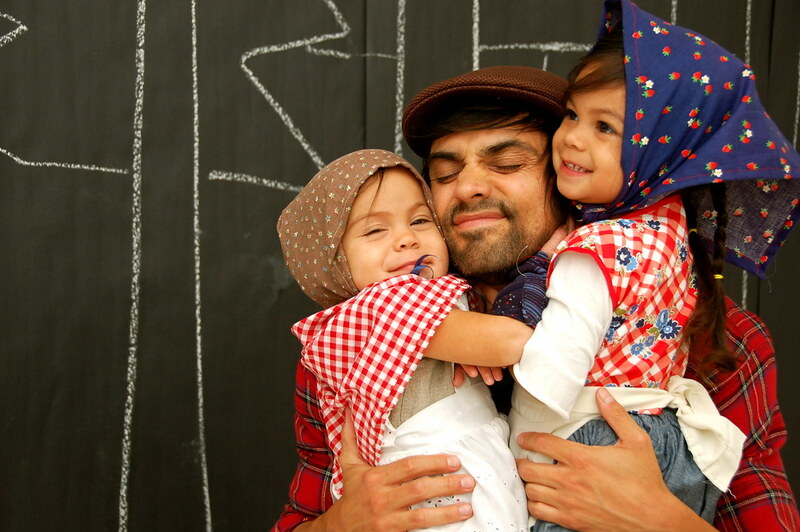 Hannah and Gretel were so excited to be with their father again and to share with him the little surprise they had. 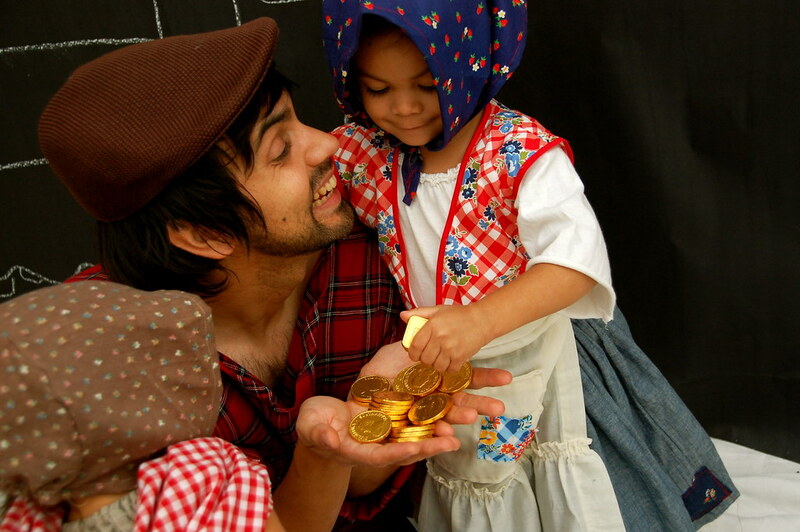 First, they recounted the story of the terrible Old Lady and how they got away, but as soon as they got home, they were delighted to be able to show him their handful of gold. 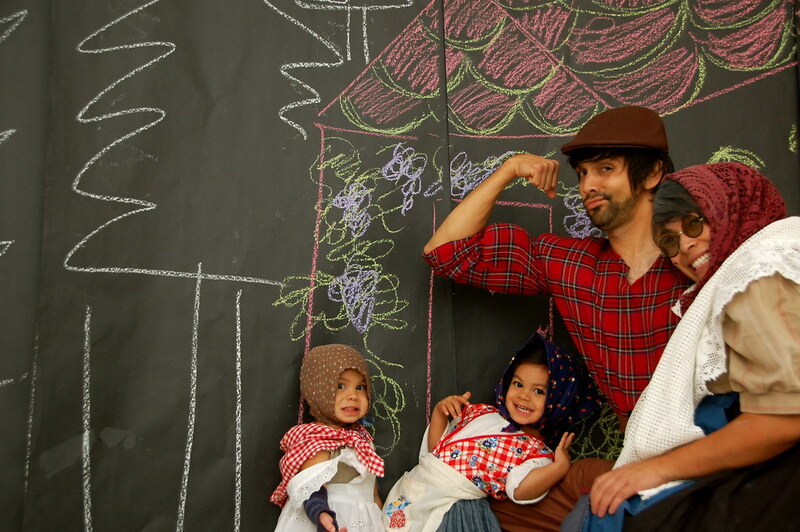 The woodcutter was absolutely gleeful to have his daughters home and that they no longer have to worry about money. Hannah said, "Father, see God took care of all of us. Look, we are rich now! You never have to chop wood again and we can have all the fruits and vegetables we want on our table!" They all embraced and were just so overjoyed to be safe and back together. I love this! This has got to be one of the cutest things I have ever seen. Must have been just as fun to make as it was for me to read. Oh my! That was so adorable and so creative! & I love that your husband seems to be so into it! Happy Halloween! Thank you so much for sharing that! its the absolute cutest thing ever- it must have took so much planning- your one wonder women!!! 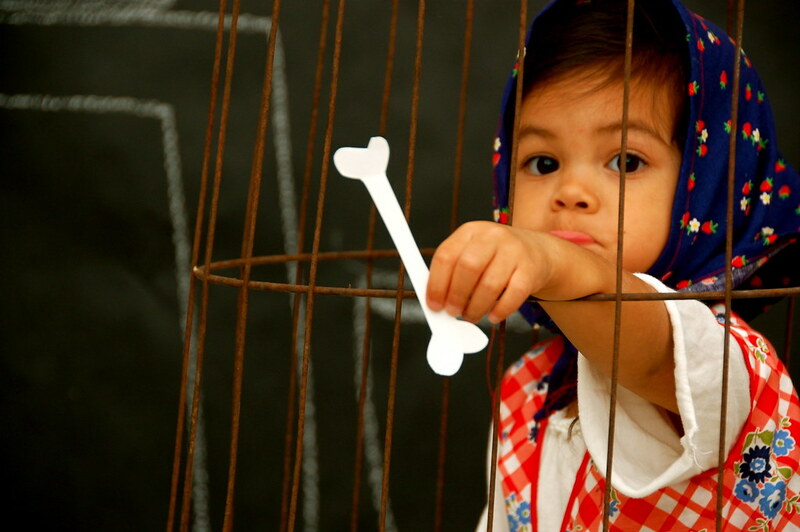 these memories will last forever for your little ones! youve done it again!!!!! i was wondering what you guys would bethis year!! ou are brilliant!!!! Your family is so awesome! How cute. 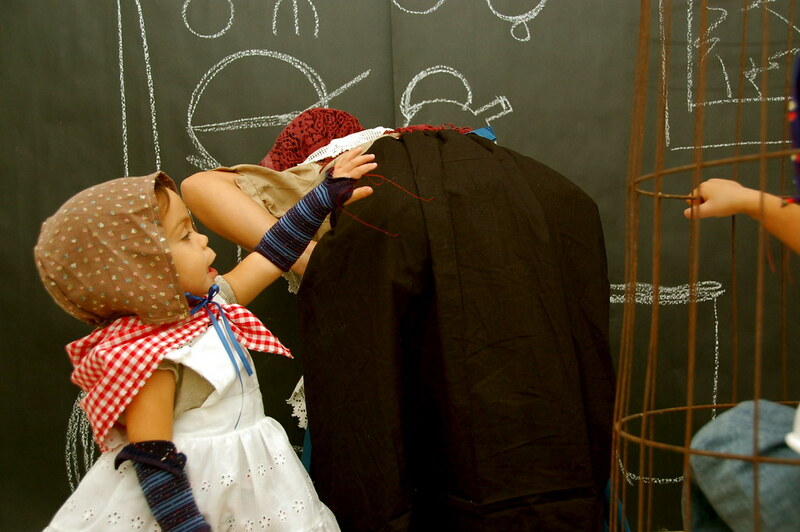 All the costumes are fantastic - did you sew them all? Happy Halloween to you too! so so cute! You guys are great! OH my adorable! That was fantastic in every way. I loved every single sweet picture. Job well done. this is amazing. what a creative little family you have. i can't wait to share it with others. happy halloween. i love your halloween stories! 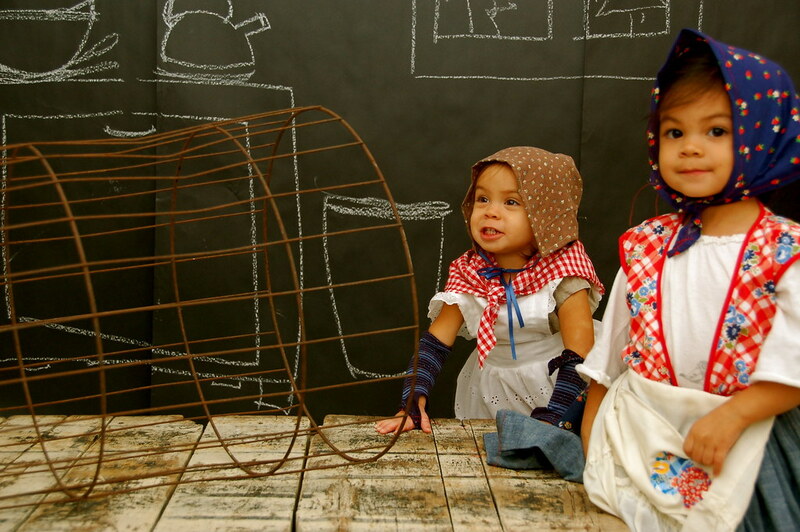 what a great memory for your family... great job on all the outfits, too! Oh my gosh. You're girls are SO adorable. THIS IS WONDERFUL!!!! I cannot even express how great I think this is... your girls are just lovely! Your family is so creative and so fun... I look at your girls & wish I would have been a fun mom like you are. My girls have grown so quickly & I wish I would have done more fun things with them, but time slips away without you realizing it sometimes. Anyways, your blog is in my favorites b/c I love to visit everyday to see what sweetness you have concocted (sp?) for the day.... I'm always amazed at what your family does... can I be a part of your family? ;) Tell your daughters they did such a great job on their performance! Have you ever thought about turning your blog into a book... or at least these stories.... I love them! Love it, love it, LOVE IT!!!! Wonderful costumes! What talent you have! SOOOOOO fun! Have an awesome Halloween! OMW!!! This is the cutest post ever! I've been following your blog for a little while now and enjoy reading it everyday. Your family is so sweet. My oh My! There is no limit to your talents and creativity! Ben and the girls are such great sports and are looking as gorgeous as ever. You too! Thanks for providing such visual inspiration as always. Enjoy the weekend. There are no words for how awesome this is! I am giving you a standing ovation right now. OMG. that was absolutely amazing! Can you adopt me into your family. I just love all of the amazing things that you do with Ben and the girls.! oh my goodness! this was delightful! thank you! 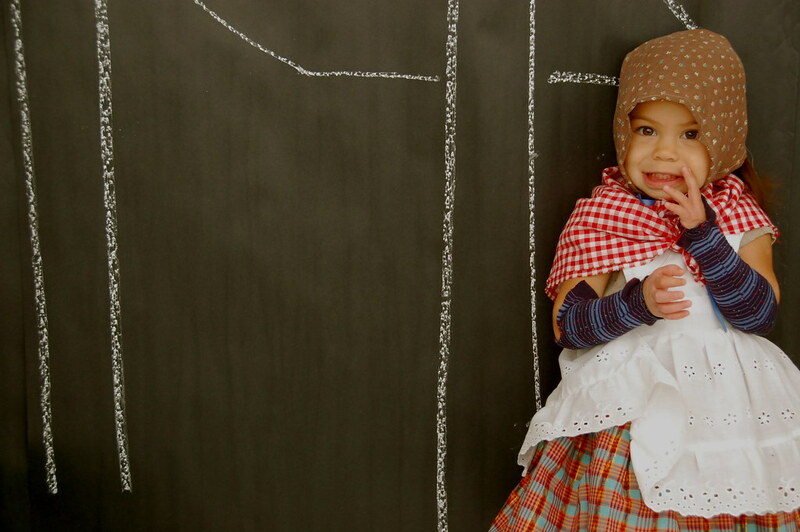 This has got to be, hands down... the cutest blog post I have ever seen! Now you and your beautiful family have completly made my day. I LOVE it!!! 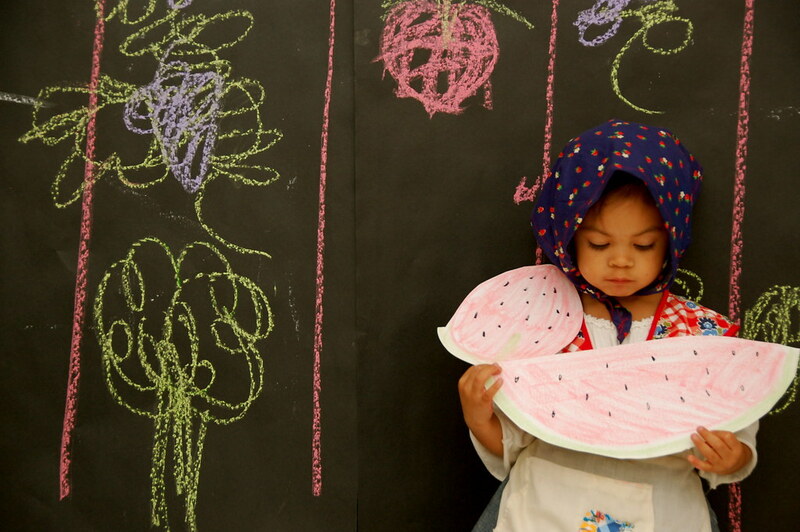 You are so creative and your family is so adorable. Thank you for making my day! I was a little sad earlier because I made my step daughter her 3rd costume in a row and I have never ever seen her wear any of it for Halloween because she is always at her moms. Thank you for making me realize that even though I will not get to see it worn that it is worth it. Thank you! oh my, I could not wait to come home and see this! hot dang! oh i would do anything just to be on your blog! i LOVE you RUBYELLEN!!! 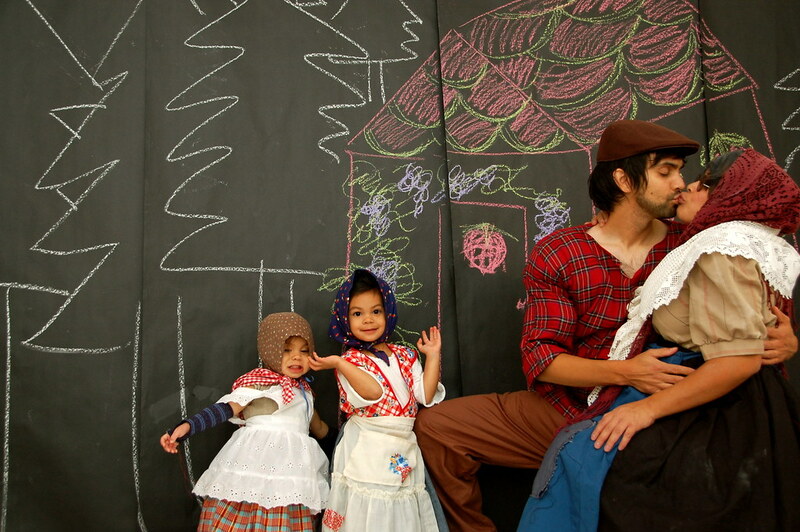 Your sweet family makes a great storytelling troupe! That's just not fair. You are much too talented. Love the photo series. The costumes are outrageous. Where do you come up with these ideas?! The girls are adorable. adorable. love it. the absolute best. Oh my goodness! The effort you went to! I've never commented here before but HAD to with this story. I love it! What an awesome idea--amazing! ammmmmmmmmmmmmmmazing!!! oh i love it!! that must've been so much fun to shoot! your girls did wonderful! props way up! You made my day! I am still smiling. so fun! thanks for another great halloween post! Your fam is so cute. I love this. So so creative. The costumes are fab! I read this to my kids for tonight's bedtime story... 3 times. Thanks for the wonderfulness!! Oh my word. You are so cute I could just eat you up!!! Thanks for sharing this! Wow, wow, wow! That is one of the best posts I have ever seen!! So, so cute!! You should have this printed up in one of those photo books - what a wonderful memory! 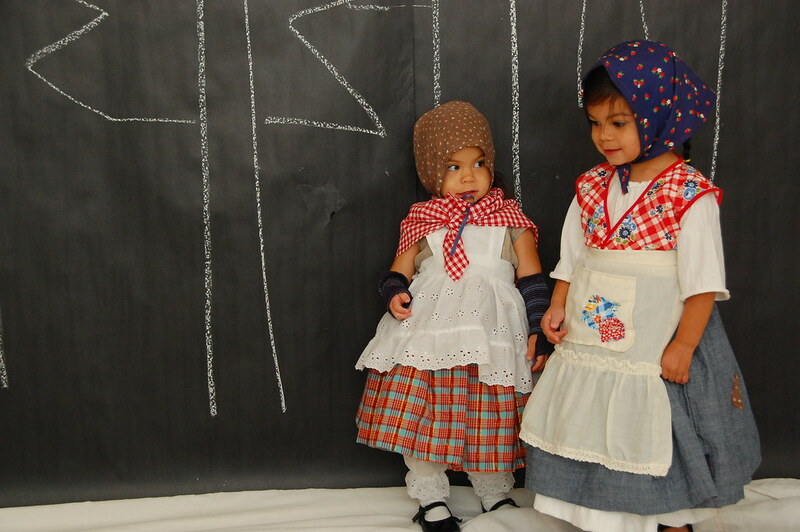 Very, very cute costumes. Love Hannah and Gretel! WOWEEE...I wish all mums and dads could see this.It is really,really wonderful.Your children are very lucky with parents like you who keep the magic alive! amazing what you and your famely do with each other! Fantastic!! You all are so much fun! 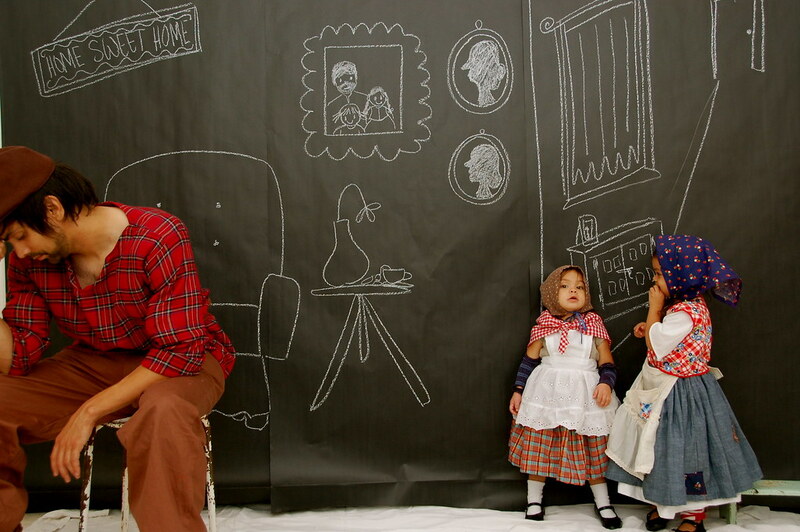 Great costumes, photos, stage and story :) Happy Halloween! That was lovely! Thank you! Happy Halloween to you too. ADORABLE - you are so creative. This is so sweet. What fun your household must be! Wow, Rubyellen this is so great and inspirational, I think Sofia and Mila would love this. You alway amaze me with your ideas and how you get your lovely family involded in the project!! Too cute!! I love your creative posts like these!! oh my goodness!!! this is tooo adorable!!! i love love love! My, what a brilliant and creative family project! I love it. This is absolutely wonderful Ruby! cutest blog post ever. you again, have outdone even yourself. Your creativity is so inspiring. And your family is Adorable- with a capital A. What a gorgeous cute little story. I just found your blog. Love it. I'll certainly be back! i am speechless, this is so good!!! i especially love the girls' clothes. you are amazing!!!! Wow! I don't think I've ever seen anything quite like this. The costumes, set, the fact that you got your hubby to play along. I'm amazed by you all! You are obviously a very loving, close family. It's a joy to see. Thanks for sharing it with us. I agree with Renee. You should make a book on it (I suggest using Blurb) so that your girls can look back on it and remember what an awesome childhood they had. 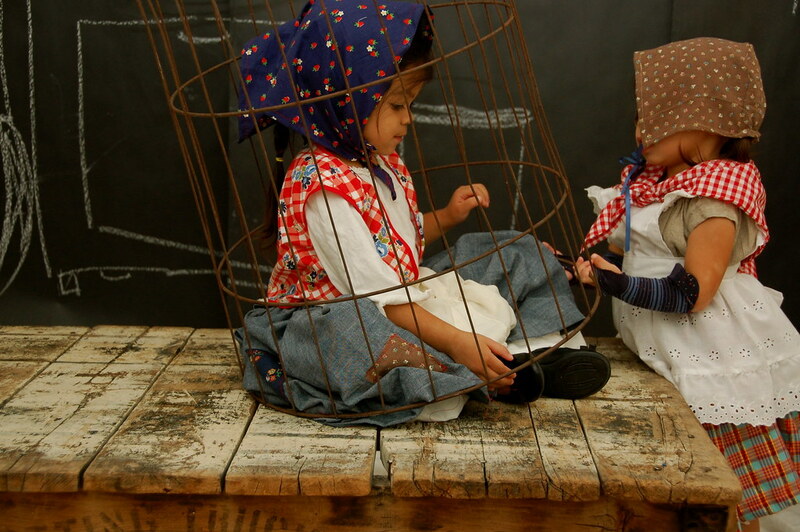 I hope that someday when I have kids I'll be this creative with them. Oh my adorableness. You must make a little book for your sweet girls. Just amazing. How awesome is this?! I'm assuming it'll be put into a photobook for y'all to have later on... right? :) I love the last pic. Your husband's hand on your belly is just sooo precious! Lovely family!!! this has got to be the cutest post ever!